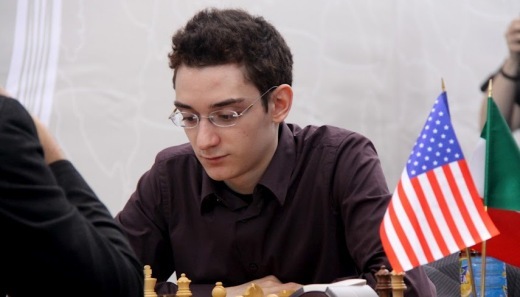 Teimour Radjabov emerged the sole leader of the 2012 Tal Memorial with 2/2 after beating Luke McShane with black pieces. The Englishman used the interesting move 5.b3 in the Rossolimo Sicilian, following in the footsteps of the World Champion Anand from the recent WCC match. Apparently he didn’t have time for thorough preparation and ended up defending against the black’s kingisde aggression. Following white’s blunder on the last move before the time control, Radjabov dully converted the advantage to score the second consecutive victory. 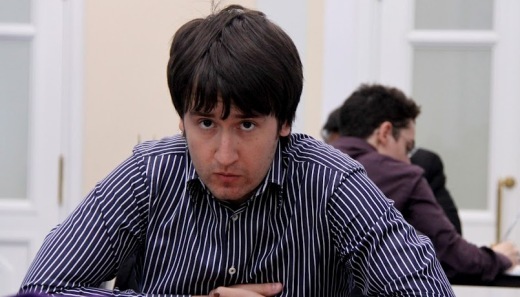 Vladimir Kramnik defeated his compatriot Alexander Grischuk to avenge the elimination from the last year Candidate Matches. It was the sharp Bayonet attack in the King’s Indian defense where Kramnik clearly out-prepared his opponent and signed an easy victory. Alexander Morozevich employed his favourite Classical 4.Qc2 against the Nimzo-Indian defence and was close to beating Magnus Carlsen. The rare 11.Rc1 evidently surprised the World number 1 who reacted poorly with 11…Nd7 and slipped into an inferior endgame. Chessdom commentator GM Grzegorz Gajewski proposed 11…Qa2 12.Bb5+ Bd7 13.Bxd7 Nbxd7 14.Nge2 as the critical line where white advantage is not that obvious. Morozevich totally dominated the board but later allowed a couple of illogical exchanges which provided black with breathing space. 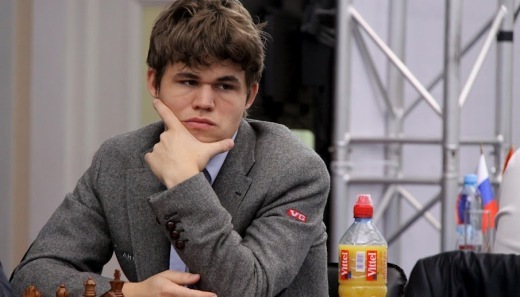 Carlsen sought counterplay and finally white erred just before the time control letting all of his advantage disappear. The game was drawn. 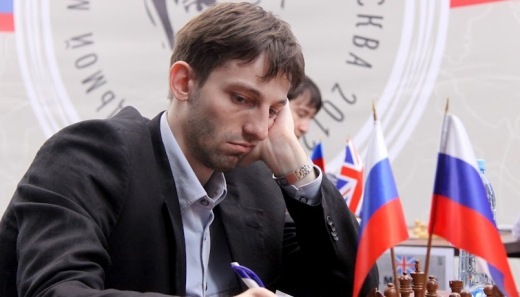 Evgeny Tomashevsky (after a loss in the first round) and Levon Aronian (playing black) were content with a draw and repeated the position to sign the scoresheets on 25th move. Fabiano Caruana and Hikaru Nakamura played the longest game of the day which lasted 7 hours and 107 moves. 60 moves earlier, Chessdom commentator GM Csaba Balogh said – “After getting rid of the queenside pawns, there will be no reason to continue the fight.” Nakamura obviously wanted to test white’s defence, but there was never a real chance to obtain the advantage. 1. Radjabov 2; 2-4. Morozevich, Kramnik, Aronian 1,5; 5-6. 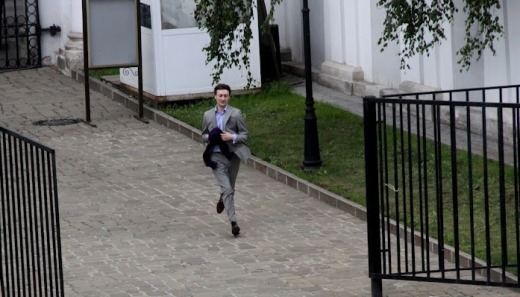 Carlsen, Grischuk 1; 7-9. Nakamura, Tomashevsky, Caruana 0,5; 10. McShane 0. Round 3 pairings: Carlsen – Caruana, Grischuk – Morozevich, Radjabov – Kramnik, Aronian – McShane and Nakamura – Tomashevsky.